Anyone in Savannah looking for cast iron railings has already made an important decision: to choose something that lasts, something durable and substantial rather than flimsy, short-lived fabricated alternatives. 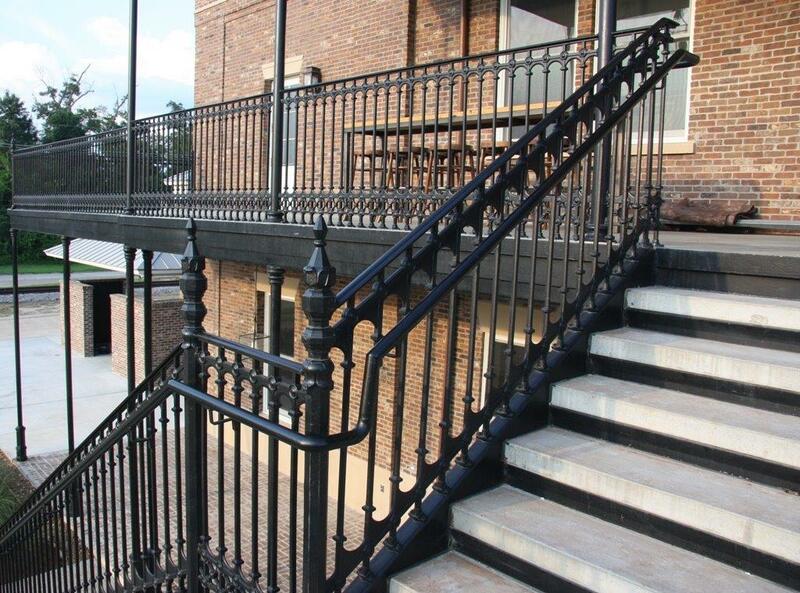 The quality and durability of cast iron railings is evidenced everywhere in older cities such as Savannah, showing that buying iron railings will certainly last your entire lifetime, and so prove a sensible investment. But beyond durability, you can also make another decision, to choose real craftsmanship and beauty for your railings or iron gates, matching their decorative qualities to durability. And, that will entail choosing Heritage Cast Iron. We are a leading Savannah supplier of finely crafted iron railings based on original Victorian designs. This commitment to craftsmanship means that you will own iron railings built for your premises using traditional foundry techniques. There is simply no substitute for our iron railings provided in Savannah by Heritage, as you can see in our image gallery, which shows iron railings modelled exactly on traditional Victorian collections. But while Heritage’s approach to iron railings is traditional, the approach to pricing is thoroughly modern, and can effortlessly compete with the prices of inferior iron railings on the market today. Heritage’s iron railings are multi-functional, capable of adorning and improving any Savannah private residence but also usable for street furnishings, renewal projects and all manner of public and commercial buildings. Cast Iron railings have an incredibly long lifespan and indeed anywhere, with cast iron being one of the world’s most durable and recyclable materials. Iron railings are resistant to corrosion so not only will your iron railings last, but you can also take comfort from doing your bit for the environment, eliminating unnecessary carbon-generating energy remaking and re manufacturing products time and time again. Evidently, the long term ownership costs of iron railings deliver unbeatable value when compared to any other fabricated ornamental iron railings and decorative steel fences available today. For more information on how we can help with your iron gate requirements contact Heritage Cast Iron today.